As another week of scorching hot weather begins in Melbourne it’s quite relevant to talk hydration. Many of my clients, family and friends have been feeling the effect of temperatures well above what our bodies are acclimatised to. Staying adequately hydrated will go a long way towards helping you maintain good energy levels during the heat, and prevent injury and heatstroke. 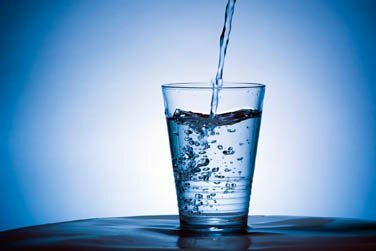 – Heavy metals and chemicals – unfortunately many water sources nowadays are polluted in one way or another, even tap water contains chlorine and other waterborne toxins that can be harmful to the human body. Use a good quality water filter at home, and only buy bottled water that comes from a reliable source. – Plastic based toxins – Some plastics are safer than others, however all plastics should be avoided where possible to store your water. Smoky plastics are particularly bad as they leak all sorts of chemicals into the water, and even BPA free plastic contains other chemicals that can be harmful to our bodies. Store and transport your water in glass or food grade stainless steel bottles, and where possible store water in a dark cool area. – Hardness factor – The hardness factor of water is measured by the total dissolved solids (TDS), which according to Dr. Martin Fox, the author of Healthy Water, should be 300 or greater (170mg/L) in order to be most beneficial to our bodies. Many brands of bottled water will provide these figures on the bottle. An easy way to make sure your water has sufficient dissolved solids is to add a pinch of sea salt to your water bottle. You will likely find that this will improve the taste of the water, will make it easier to drink and will provide better hydration. – Water is the best source of water – This might seem obvious to many, however, it needs to be said. There are countless products on the market that are advertised to hydrate your body faster and better than anything else. Soft drinks contain sugar and/or artificial sweeteners that will mess with your blood sugar levels and can act like a toxin to your body, and sports drinks are packed with artificial ingredients that may also have a toxic effect in the body. If you think sports drinks are packed with electrolytes then think again – one mouthful of banana has as much electrolytes as a whole bottle of the average sports drink. Stick with good quality water and food to stay hydrated. Now that we know how to find quality water, let’s talk about how much water we should be drinking each day to help gain/maintain great health. According to Dr. Batmanghelidj’s hydration guidelines we can use a simple formula to calculate how much water we should be drinking based on our body weight. Simply multiple your body weight in kg by 0.033 and that will tell you how much water in litres you should be drinking each day. For example: If you weigh 70kg, by this formula (weight (kg) x 0.033 = water per day (L)) you should be drinking 2.31L of water per day (70 x 0.033 = 2.31). If you exercise, if you are in a very warm climate where you’re sweating a lot (ie. Melbourne right now! ), or if your body is sick or fighting off an illness, then you can afford to increase the amount of water you drink. For example, I’m training myself and others outdoors most days in the hot sun – I’m sweating a lot, so even though I weigh 73kg, I’m drinking around 4 litres of water a day to stay hydrated. Maintaining adequate hydration is a fundamental way we keep our bodies functioning at optimum level. Drinking sufficient amounts of good quality water should be a conscious activity we perform every day. Become comfortable with these hydration guidelines, and make sure you’re giving your body the quality water it needs to function well.